You can count on us for all of your Foreign Import Repair Services, whether its a simple oil change, an unknown noise or drivability issue. At Peter’s Import Car Service we believe there nothing is more important than maintaining the safety and reliability of your foreign car. We know cars break down all the time so our mission is to educate our consumers on understanding more about their vehicles and to take care of their foreign automobiles. We will help you make your car last for a long time! 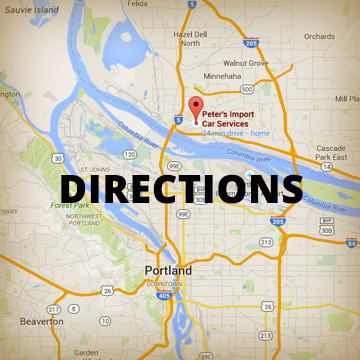 Peter’s Import Car Service specializes in complete maintenance and repairs on European & Japanese cars and trucks. At Peter’s Import our diagnostic and programing equipment ensures accurate diagnosis and proper repair with OEM or better replacement parts. Peter’s Import Car Service is a full-service foreign auto repair and preventative maintenance garage specializing in import and foreign vehicle repairs. Our experts have the knowledge and experience to service and repair most import and foreign vehicles. We guarantee all of our work and know you will be happy with the outcome. We use all the latest technology to assess the situation and offer you alternatives. Our trained foreign car technicians perform scheduled services for import and foreign vehicles, and provide complete repair services including tires, alignments, brakes, front ends, rear ends, transmissions, diagnostic services, engine diagnostics and repairs, electronics service and repair.